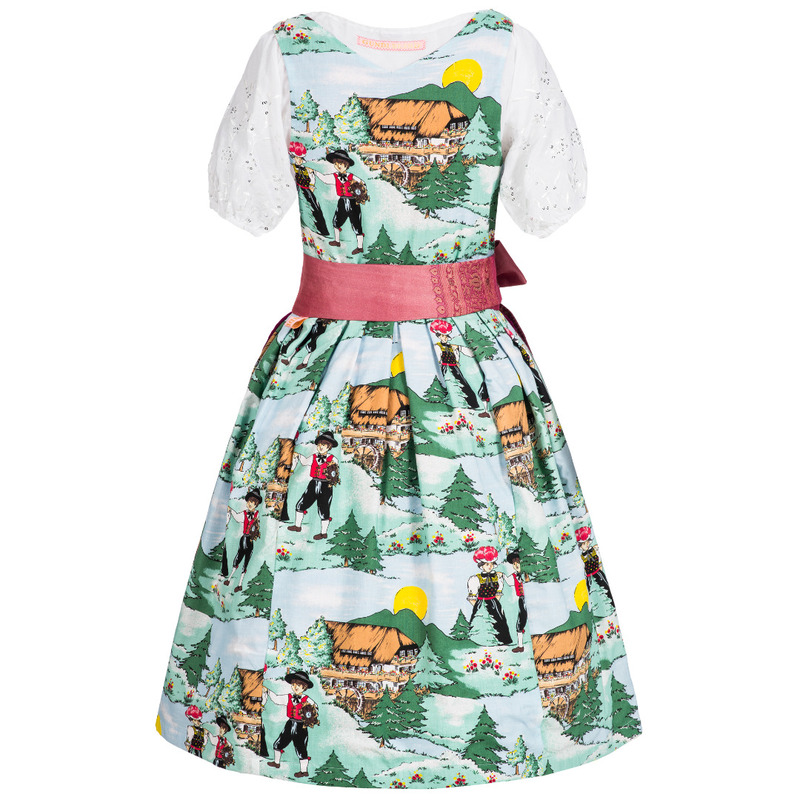 Dreamy Dirndl set in Black Forrest pattern. 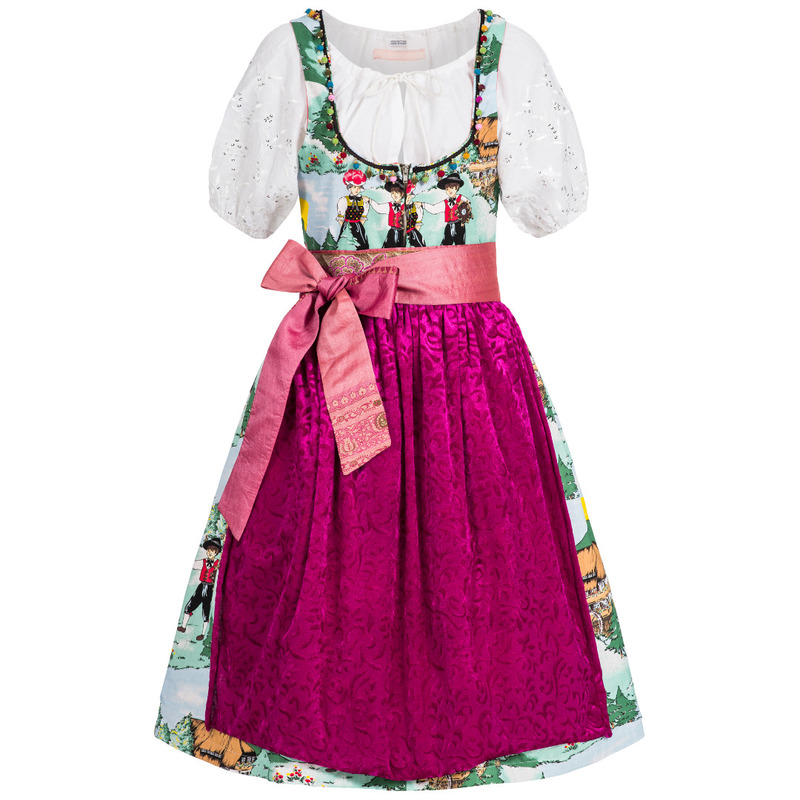 - this youthfull Dirndl is is a bright spring green Dream. and a silk finished bow.